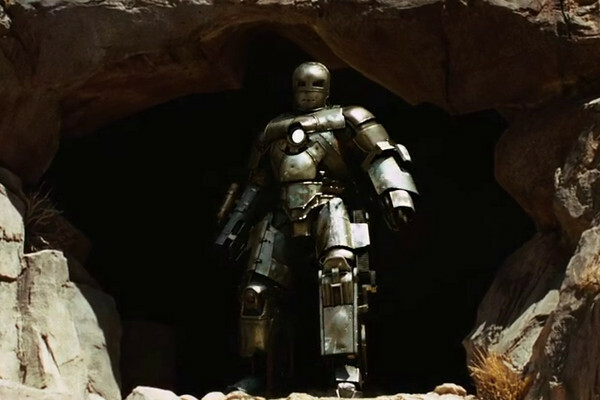 Ten years on, the first Iron Man movie still retains a certain freshness and vitality, despite being retroactively tainted by later movies where Downey Jr. was prone to phoning in his glib-by-numbers performance. Here he's still the Downey Jr. that was in a rough patch, not the biggest box office star of the world, and there's a hunger to make it work. Iron Man was, to the general public, largely an unknown quantity, and the decision to retool Tony Stark as an egomaniac who would abandon the idea of a secret identity seems more related to behind-the-scenes vanity than the genuine ego of the character. It's not without faults. Like a lot of the Marvel movies, it feels overlong, and the pyrotechnics can get tiresome before the end credits offer some respite. There's also a somewhat confused message at the film's core whereby, while acknowledging that the US are responsible for military intervention, the enemy of the picture are still Arabic warlords. Consequently it's a little unsettling to watch a surprisingly violent film, whereby audiences are expected to cheer as the all-American hero douses foreigners in flames. Mostly, though, the film works well, even if you do have to wonder how Tony's suited POV always features his head upright no matter what position he's in, and with a computer display several sizes larger than his helmet. Iron Man 3 takes the Tony Stark story in interesting new directions, and plays with viewer expectations. Not all of it comes off, but the left-field twists keep things moving. 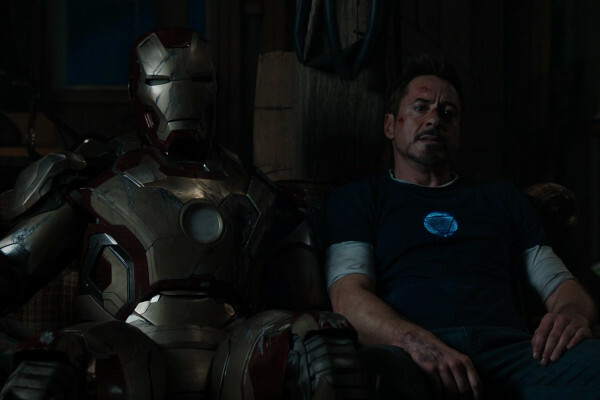 In purely superheroic terms, then having automated Iron Man suits that Stark can control remotely takes away all element of danger, rather akin to Spider-Man putting his feet up and watching TV while his costume does all the work for him. And the much-criticised twist that the Mandarin is just an actor playing a role to escalate world tensions removes Iron Man's most famous enemy from the range. However, such elements are also worthy of praise on some level; the reveal of Ben Kingsley as "Trevor Slattery" and the subplot of Tony having a nervous breakdown offer some offbeat rewards. And while things start to get a little too silly towards the end, it's the most vibrant of the Iron Man films, with Downey Jr. reunited with Kiss Kiss Bang Bang director Shane Black. There's also an interesting take on the somewhat troublesome politics of the first film, exploring the idea of media terrorism and its true implications. For such a political film, it's slightly distancing that they gave audiences a ficticious President, in the form of President Ellis. While the makers couldn't expect Obama to take a role, it could have been side-stepped... as it was, the real President of the United States gave a joke conference nine months after the film's release, telling press that "basically, I'm here to announce that we're building Iron Man." Iron Man 2 is one of the most maligned Marvel movies, with only Thor: The Dark World and The Incredible Hulk getting a lower score on Rotten Tomatoes. It's not a popular belief it's the best of the Iron Man films, but, undeniable weaknesses aside, it's regarded as the most rewarding instalment here at The Anorak Zone. Certainly, the appeal of the second movie depends on how much you care about the life of Tony Stark, with his metallic alter ego barely getting a look in. Largely inspired by one of the most famous Iron Man stories, "Demon in a Bottle", what should have been a serious topic of alcoholism and Tony being replaced is instead glossed over and given lip service. Seeing a former alcoholic portray alcoholism for laughs is a little unsettling, and there is a feeling that there's enough plot here for two films, but it gets by. The comic book version saw Tony's descent into alcoholism being told over a 9-issue story arc, and James Rhodes taking over the Iron Man persona was something that lasted longer than two years. While a mainstream Hollywood movie riding on star power couldn't afford to sideline Downey Jr. in favour of Don Cheadle, it does feel like the backstory for an entire film is swept under the carpet and played for light entertainment somewhat. Said "lip service" is writ throughout the film, as many subplots and characters don't get fully chance to breathe, with an underwhelming final battle, and Sam Rockwell seemingly acting in a different film to everyone else. However, for those interested in the character of Tony, it adds layers to a somewhat thinly-written part, and adds extra characters in the form of Nick Fury and the Black Widow. The subtext of Tony having issues with an unresponsive father and addictions are the kind of thing that parallel Downey Jr.'s own life, and would be interesting to explore in more depth... though, as seen, attempting to explore them would cause the star to leave the room, muttering about Diane Sawyer. Although there's just a hair's breadth between all three Iron Man movies in this ranking, and they could have been ranked in almost any order, this is, despite everything, a much underrated sequel. 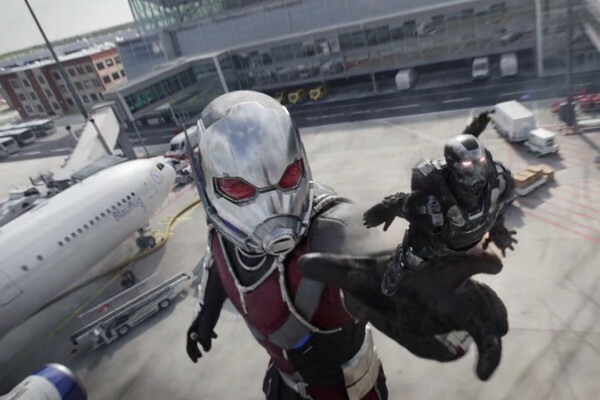 Although at the time Guardians of the Galaxy was by far the bigger risk, the direction of Marvel post-GOTG has retroactively made The Winter Soldier the more left-field Marvel movie of 2014. A conspiracy thriller with Robert Redford, it takes the somewhat day-glo antics of the Marvel universe and pushes it in a more realistic direction. Such a direction means that Captain America doesn't call on any higher-powered friends who could presumably end the film's problems in half the running time, and is instead paired up with Black Widow and the debut of the Falcon. Steve Rogers is one of the blander, less neurotic of the Marvel heroes, so it's a refreshing choice to make him so conflicted and cynical in an engaging film. The narrative does have an unfortunate tendency to lurch from action sequence to expositionary infodump, but it's a commendable attempt at something a bit grittier that has something to say. There's even a good Pulp Fiction joke at the end. 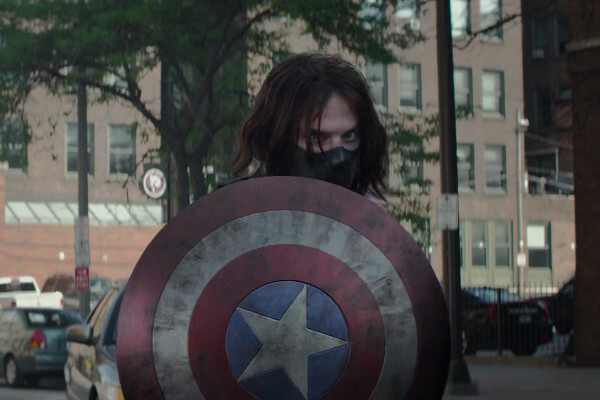 The Winter Soldier was one of four movies starring Marvel characters to make top ten box office in 2014, two of them not even made by Marvel studios. While separate X-Men and Spider-Man films gave a challenge to The Winter Soldier's 7th place and $714m haul, it was Guardians of the Galaxy that outlasted them all, becoming the third biggest movie of the year behind Transformers and Hobbit sequels. 2014 became, against all expectation, a year where the most prominent face of comicbook antics was a talking raccoon. A visually spectacular film that provides all the wild fun of the comics. Rather than being expressly influenced by the somewhat dour Civil War series on which its based, the film provides enjoyable introductions for the Black Panther and Spider-Man, as well as allowing Paul Rudd to show his full potential as Ant-Man, and, later, Giant Man. Superhero adaptations have sometimes been reluctant to lend themselves to the full realisation of the form, but Giant Man fighting Spider-Man and Iron Man in an airport is the kind of thing that would have thrilled small children... at least, it would have been if it wasn't in a film with Marvel's customary light swearing and brutal violence where the heroes actually kill people. The film has to manage a juggling act between the glossier set pieces and the more sombre moments of the film. Thankfully Downey Jr. dials down the meta-based sass and instead gives arguably his best performance in a Marvel movie as an embittered Tony Stark. The common criticism of Civil War is that it's basically Avengers 2.5, which, while entirely valid, is made palatable by the fact that it's better than any Avengers movie. Perhaps the only sore point is that the version of Captain America on screen is far more powerful than the man in the comics, who only had physical gifts to the limits of human potential, not super strength. Although this deviation was hinted at in previous movies, it's confirmed here, with Steve Rogers able to physically beat both Spider-Man and Iron Man, things that would be impossible in the comics. This said, such a revelation does allow the "heroes vs heroes" theme to play out better on screen, whereas in reality Tony Stark's side would clearly be by far the most powerful. Marvel's best movie to date is also, oddly enough, its most overrated. Calls for Black Panther to receive recognition from the Academy show how populist the Oscars have become that such a thing could be seriously considered... while the Oscars have often given awards to mainstream movie-making, the ceremony should be given over to art, not popcorn fare. More Wild Strawberries, less Back to the Future. This is not some innate film snobbery, but to suggest that the idea of awards should be to celebrate cinematic art, not CGI action movies. This said, the existence of a separate category for "Best Foreign Language Film" shows that true film appreciation is not quite at the heart of the ceremony. (This was made even more complicated in 2019 when the winner of Best Foreign Language Film - Roma - was also up for Best Picture and so could theoretically have won both). This is not to suggest that a superhero movie couldn't win the best picture, in theory, though if one did, it'd be unlikely to be one of Marvel's more committee-based offerings. This article has been offering somewhat begrudging praise to Marvel movies: every film on this list has some level of fun, and they're all watchable tales. The problem is, while average to good movies, hardly any of them, if at all, are great movies. Some of the best films based on Marvel properties have been brought to screen by the better X-Men entries; probably none of the films on this list are as good as the Christopher Nolan Batman films (the first two at any rate), and the best superhero film written and directed by James Gunn is not a Guardians movie but 2010's Super. Yet if we're looking for greatness, Black Panther is the one that comes closest. The colour palette is still very "day glo" for the material it represents, but has much to say. It's perhaps overstating it to call the themes within it "Shakespearean", but it's close. It's a film that represents the viewpoint of Africa and how its citizens have been treated by the rest of the world. 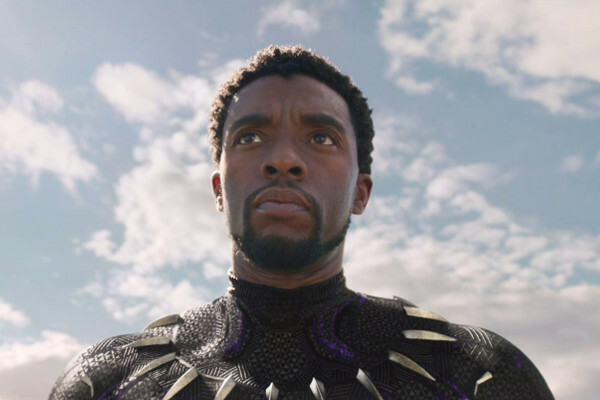 However, it can't quite achieve this, given that it's written and directed by two Americans, and that, of the main cast, only half a dozen of them have a serious African heritage (born or raised there), with likeable star Chadwick Boseman coming from South Carolina, and his brother played by Londoner Daniel Kaluuya. So while it represents the voice of "Africa", the gaze is captured through American eyes, though this isn't an expressly bad thing, and the film has to be credited for trying. However, this isn't a large criticism, for there's a subtext at heart that makes this a clear first place in this ranking. While decent entertainments, the vast majority of the Marvel Cinematic Universe has nothing to say, whereas Black Panther tackles the nature of colonialism and the urge for revenge. It's a layered, enticing theme, which, while laid over a somewhat traditional framework, has one of the franchise's most developed villains in the form of Michael B. Jordan's Erik Killmonger. Also terrific is Andy Serkis as Klaue, which, while they couldn't go the whole route and make him the Klaw that he became in the comics (it's not that kind of movie) they could have at least had such a transformation in the obligatory post-credits scene. Rewatches don't reward so well: the trademark "instant glib" humour of Marvel is there, the idea of a technologically advanced society deciding its king by combat is an odd tonal choice, and there are long, meandering patches of exposition that sit less easily on a smaller screen than they did in the theatre. Yet although the constant record-breaking box office figures are partly due to the increasing price of tickets, Black Panther grossed over $1.34 billion to become the ninth highest-grossing film of all time. (Calculating this with inflation would put it around the top 30, but this is no small matter). This made Black Panther, in its own way, a ground breaking film... although not the first black superhero on film, it's the first black superhero to make such a massive impact, and possibly change the way Hollywood regards its potential audience. Ultimately Black Panther went on to win three Oscars at the 2019 ceremony (best costume design, best original score and best production design) but the fact that a film as populist as this was ever short-listed for Best Picture shows a serious error in judgement. Such comments are not to detract from Black Panther's validity as a piece of entertainment, or to suggest that every Oscar winner is a valid piece of art, including the film that beat Black Panther to the top prize, Green Book. But for a ceremony that aims to introduce a new category in 2020, "Most Popular Film", then it's a ceremony increasingly out of touch with its purported core values.